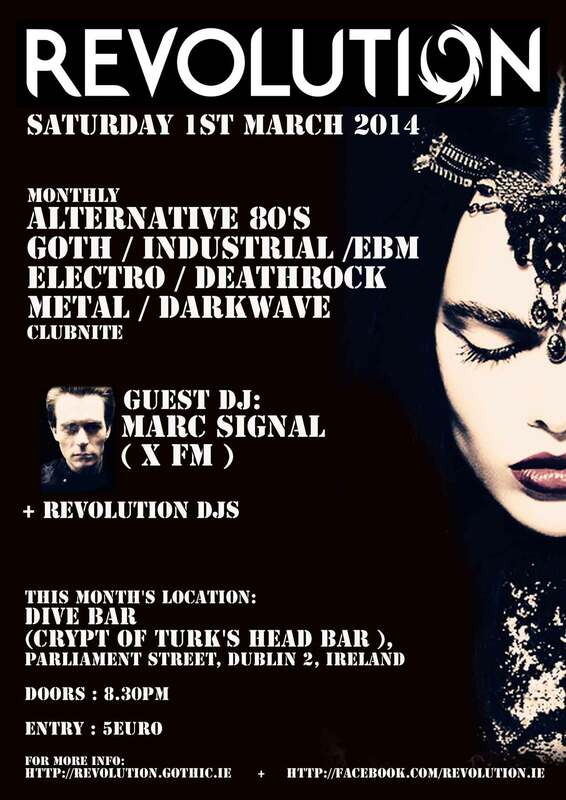 AND all our regular Revolution Dj's spinning the best of goth / industrial / EBM / dark wave.....and more! Creepy visuals, full bar, craft beers and dancing till 3am! Remember folks....a different venue every month...just to keep things interesting!